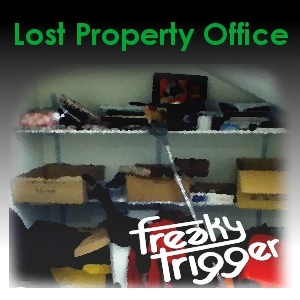 This week in the Lost Property Office I have an actual real life guest, so no talking to myself luckily. And even more luckily the guest is the inestimable Mark Sinker, writer about music, film and crisps as he has billed himself elsewhere (the excellent Silent London Podcast). We chew the fat on a number of items, whilst marvelling at the Pathos Of Spring, a CD which doesn’t quite live up to its billing. 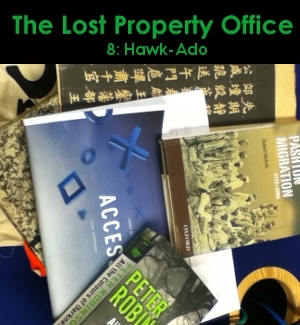 Mark is rather gready with his land grab from the office, but finds some fascinating objects (including what may be called CONTRABAND). On the way the conversation takes in green rubber monsters, the kind of mould a wallet picks up in the countryside, Chinese Faxes, the migration of the Pashtun, murder mysteries, and whatever happened to Kes (he died – SPOILERS). As ever if you recognise the Pathos Of Spring, or any of the items discussed drop me a line in the comments below. And if you would like to join the growing band of Lost Properteers, feel free to let me know, I am always looking for interesting guests. For the comments just click “more”.